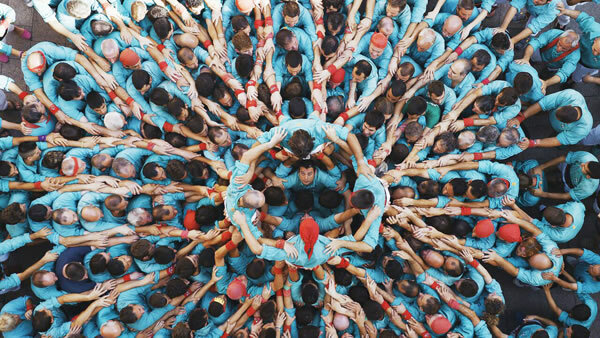 From Yann Arthus-Bertrand’s documentary Human. Photo courtesy of viff.org Showing October 10 (VIFF at the Centre) and October 12 (Vancouver Playhouse). 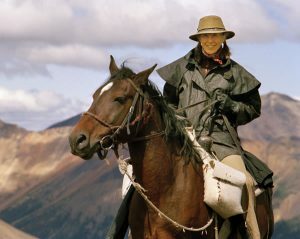 • Koneline: Our Land Beautiful, by local filmmaker Nettie Wild, takes a fresh, even-handed approach to a heated subject: resource development in BC’s Northwest wilderness. The hereditary land of the Tahltan First Nation has been dubbed the “Serengeti of the North.” Now, the land is being opened up to mining companies for its rich gold and copper resources. Wild’s approach allows many individuals to share their different knowledge and experience of the area – whether it be the geologist’s expertise on rock formations or the aboriginal student sharing his disappearing dialect – and builds a mosaic of impressions. Mesmerizing slo-mo shots of huge electricity towers being planted by helicopter, for the 344-kilometre Northwest Transmission Line, sets an ambivalent tone early on that pervades the film: the newly erected towers lined into the distance stand as both a testament to human endeavour and as a scar on the vast, natural landscape. A richly textured sound design helps evoke an otherworldly, almost dreamscape atmosphere throughout the film. Later, we see live salmon dangling in a large steel capsule at the end of the chopper’s line as they are transported upriver beyond an impassable rock slide. In years past, the fish would be moved by human chain. The times are a changin’ – aboriginal hunters shoot moose by truck, while white hunters carry bows and arrows, and both are seeing much less game. See Koneline at VIFF (October 3 & 9) and at Vancity Theatre (October 28-November 10). George Gittoes’ documentary Snow Monkey, about a group of street children in Jalalabad, Afghanistan, is unconventional to say the least. The avuncular, ponytailed Aussie taught a whole posse of street kids to make action flicks about their lives on the street. This is the film about them making their films. Gittoes himself is at the heart, both as teacher and father figure to the youngsters, documenting their stories, supporting them, buying them ice cream. The kids are amazing, truly resilient in the face of Dickensian conditions and endless violence, often inflicted upon each other. At a meandering 148 minutes, it is an unusual concoction of reportage, first-hand stories and B-movie style film clips, but the overall impression is raw and real.